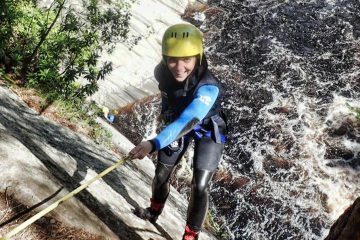 Splash Canyoning @ canyoning.co.uk is Splash White Water Raftings dedicated canyoning website (also known as canyoneering, gorge walking,torrentismo & kloofing ). 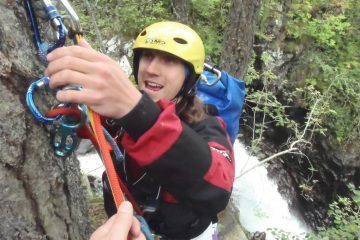 This activity involves travelling through gorges or canyons using a variety of techniques including walking, scrambling, climbing, jumping, abseiling, and swimming. 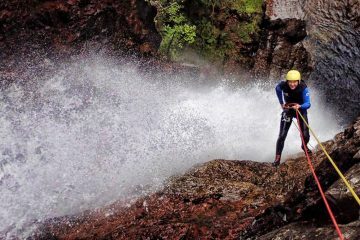 Gorge walking and gorge scrambling are also forms of canyoning, which are generally accessible without abseiling or rope work. 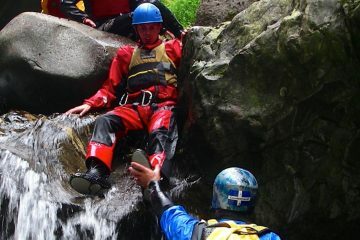 Canyoning is a fast growing adventure sport throughout Scotland, England and Wales. It is hugely popular in Europe (especially the south of France, north of Spain and the east of Switzerland) and is fast spreading to further parts of the World. 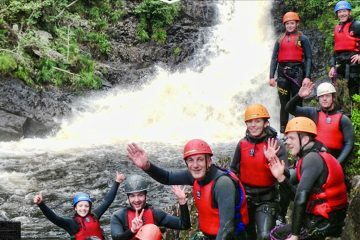 At present we provide canyoning trips throughout Scotland where we have introduced over 5,000 guests to this great adrenaline activity, safely. Please take a few moments to browse through the site to discover some of the incredible canyons in and around Scotland. 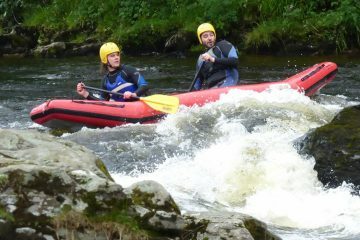 Through time we will continue to add canyoning destinations and descriptions, progressing to the UK, Europe and the World. 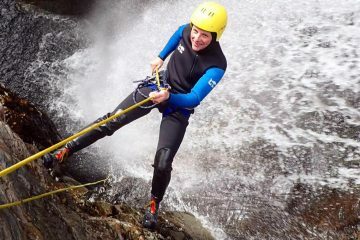 Canyoning sites throughout Scotland with more sites being added regularly. 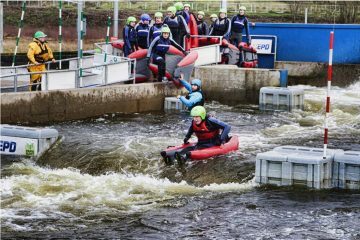 Over the last 10 years, Splash has introduced over 5,000 clients to this new and fast growing adventure sport. Spectacular natural environments that can only be experienced from the bottom of a Canyon. We are only a phone call / email away and we confirm your bookings fast. 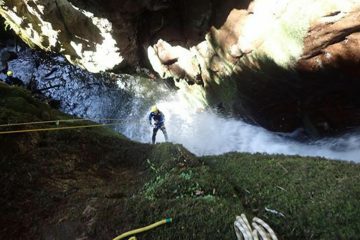 We are passionate about Canyoning, after your trip we think you will be too. We have dedicated support staff to help you every step of the way. The Keltneyburn Canyon is by far our most popular destination. 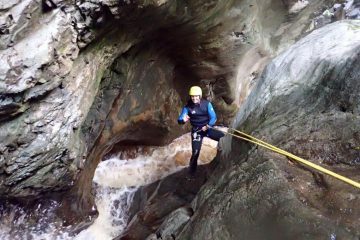 It is located just outside Aberfeldy, Perthshire near our base and is a great safe canyon to introduce people to the required skills to descend canyons safely. It is a half day trip and is suitable for 12 years and upwards. No ropes are involved in this canyon but there is plenty of challenging sections of whitewater to descend and lots of jumps to progress in height as we descend the canyon. Near the finish, there is a jumping pool where all the skills learned during the descent are put to the test from various heights! 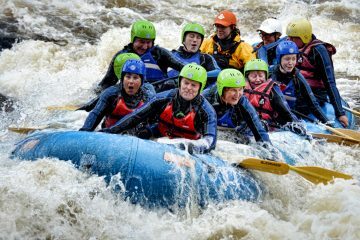 There are many more advanced Scottish canyons like the mighty Falls of Acharn Canyon, the stunning Birks of Aberfeldy, the Bruar Canyon, Alva Canyon, Dollar Canyon and more. 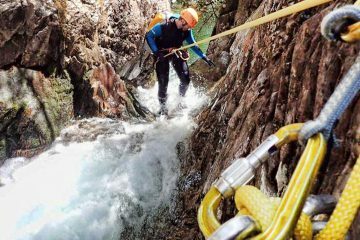 Many adventure seekers have been introduced to canyoning via these canyons and then went on to experience more as part of multi-activity holidays at Spain, France and other Europe destinations, as well as Morocco and further afield. 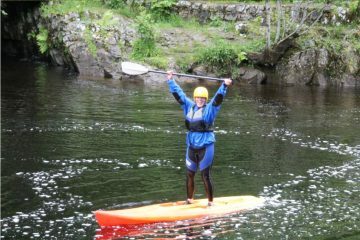 As Perthshire Scotland is an adventure playground it is possible to combine many activities together to make a full day or weekend break or a week’s multi-activity holiday. 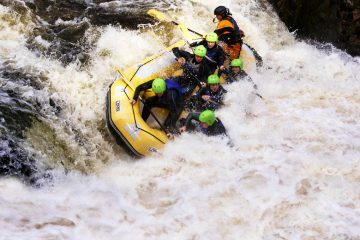 Activities that are popular include, white water rafting, river bugging, duckie canoes, paintball, quads, buggy racing, stand up paddle boarding, climbing and abseiling to name just a small selection. Our partners Splash Scotland can put together accommodation and transport if required and are happy to organise breaks and holiday from one to two hundred people. 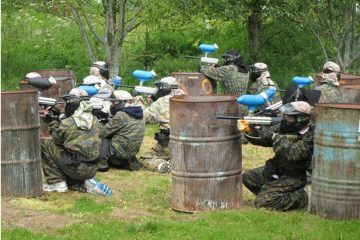 They can also run special events for corporate and charity groups up to five hundred in scale. 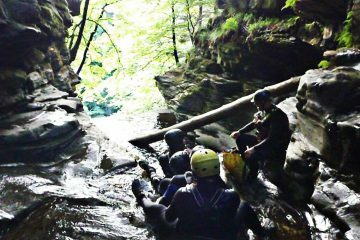 Come join us on a canyoning experience or multi-activity break you will not regret it. 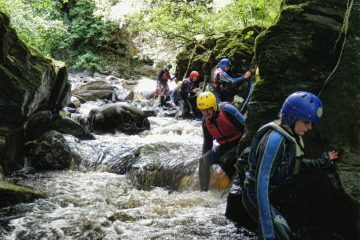 We can also combine Canyoning with a whole host of other experiences, transport and accommodation as a part of the ultimate Stag Weekend experience via our Stagweekend.com website.